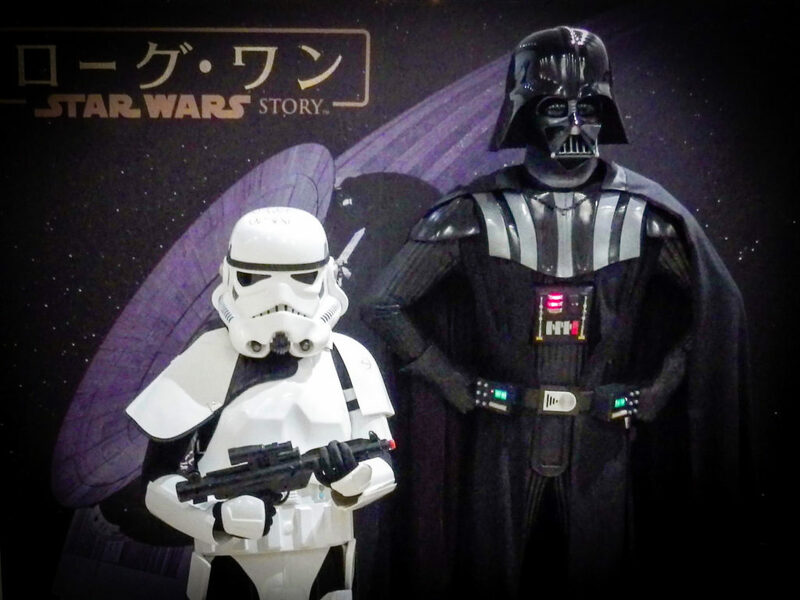 A free "Star Wars" exhibition opens this week in Tokyo to celebrate the saga’s latest episode while the franchise’s actors and directors open up about their personal connections to Japanese culture. Forty years have not dulled the ongoing love affair between Star Wars and Japan. Legendary Japanese filmmaker Akira Kurosawa’s influence on creator George Lucas and his original 1977 Star Wars movie is well-documented. 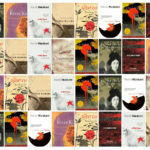 However, as the multimedia franchise turns 40 this year, the interplay between it and Japan is being strengthened in ways that go well beyond Kurosawa’s influential 1958 film The Hidden Fortress. 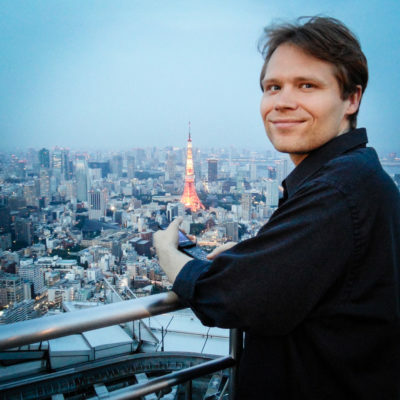 Though Lucas himself has retired and handed over the reins of the Lucasfilm company to Disney, The Last Jedi director Rian Johnson, veteran actor Mark Hamill and emerging stars Daisy Ridley and Adam Driver each have ties to Japan and its culture. On Dec. 5, 2017, actor Mark Hamill was greeted with a hero’s welcome at Narita Airport as he arrived in Japan to promote The Last Jedi, the eighth episode in the Skywalker saga and ninth Star Wars film overall. The original Star Wars, now commonly referred to as A New Hope to distinguish it from its sequels and prequels, first hit theaters on May 25, 1977. Hamill is not the only Star Wars actor with an appreciation for Japan. In a BBC article last year, Daisy Ridley — who plays the new main hero, Rey, in the current movie trilogy — was quoted as saying she is “obsessed with Japanese culture.” She grew up watching Studio Ghibli films like Howl’s Moving Castle and Spirited Away. When the opportunity arose for her to do voice work in a 25th-anniversary English version of the 1991 Ghibli animated film Only Yesterday, she jumped at the chance. Ridley also visited Japan in 2015 to promote The Force Awakens. 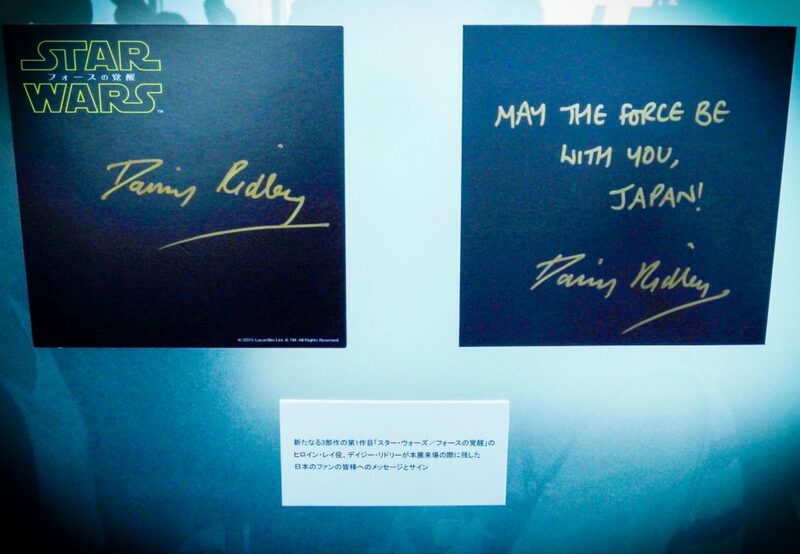 During the Star Wars Visions exhibition at the Tokyo City View sky gallery in Roppongi Hills, a handwritten message from her was displayed next to one from producer Kathleen Kennedy. 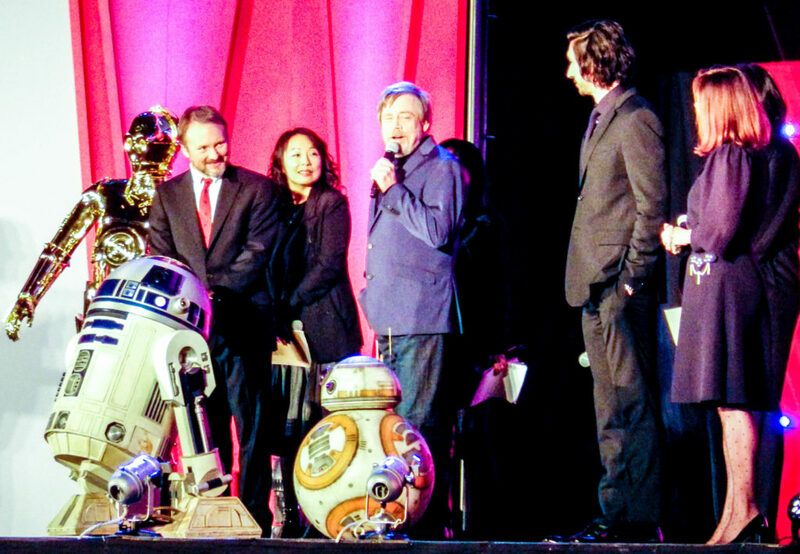 While Hamill spoke about his time in Japan at Roppongi Hills Arena, Kennedy stood by on stage next to Adam Driver, the actor who plays Kylo Ren. One aspect of Japanese culture that Driver mentioned enjoying is karaoke. He is no stranger to Japanese history, either, having recently co-starred as one of the Jesuit missionaries in filmmaker Martin Scorsese’s Silence, based on the novel by Japanese author Shusaku Endo. 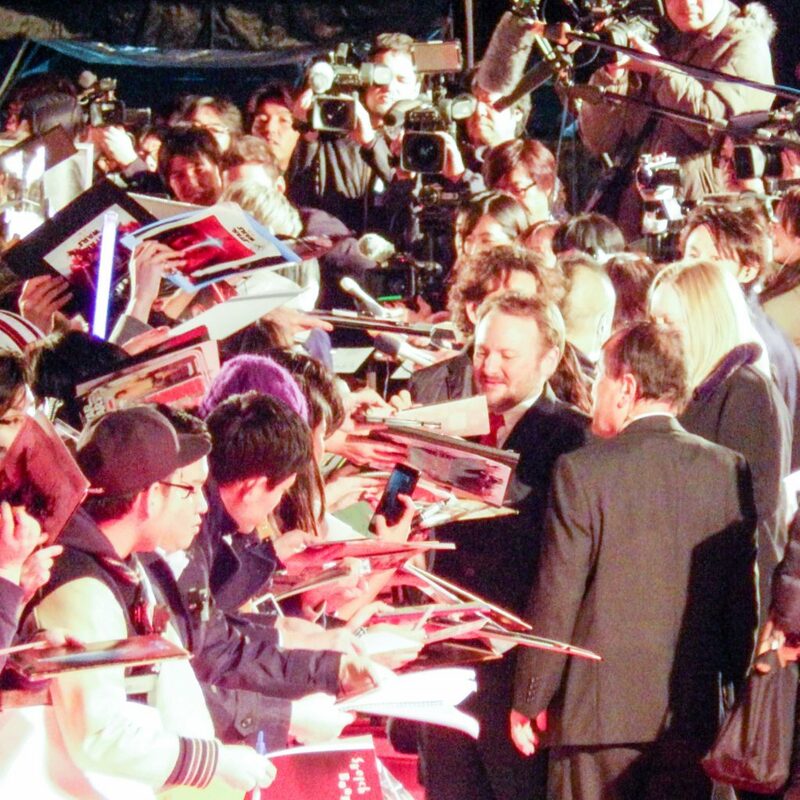 Rian Johnson, writer-director of The Last Jedi, actually visited Japan twice this year. Back in September, Japan Today covered his visit to Kyoto to pray for the film’s success at Byodoin, the temple in Kyoto on the back of the ¥10 coin. Johnson has cited the 1964 chanbara (sword fighting) film Three Outlaw Samurai as one of three key influences on the film. By drawing inspiration from Japanese cinema, Johnson follows in the footsteps of George Lucas, who copied his original 1973 story synopsis for Star Wars directly from a write-up in Japan expert Donald Richie’s 1965 book The Films of Akira Kurosawa. From Dec. 22 to Dec. 29, 2017, Nippon TV is holding a free event called “Shock Star Wars Exhibition” at Nittele Tower in Shiodome, Tokyo. As we have already learned, this comes at a time when the connection between Star Wars and Japan is stronger than ever. This is the third-straight year that Nittele Tower has hosted a Star Wars exhibition. The two previous events, “The World of Star Wars” and “Another Star Wars Exhibition,” were timed to coincide with the early theatrical run of Star Wars: The Force Awakens and Rogue One: A Star Wars Story. Now, Star Wars is closing out its 40th-anniversary year with Star Wars: The Last Jedi and Nippon TV is yet again celebrating. This latest exhibition will feature a VR booth, Star Wars art by Japanese artists, a ⅓-scale model of Kylo Ren’s TIE silencer vehicle and life-size figures of members of the First Order, as seen in the new movie, including Kylo Ren, Captain Phasma, Executioner Stormtrooper and the crimson-armored Elite Praetorian Guard. Realistic Kylo Ren and Captain Phasma mannequins made an appearance at the 2015 exhibition, too. If the 2016 exhibit is any indication, then visitors might also expect to see some costumed fans — as well as long lines on the weekend — as the event staff regulates the flow of people into the exhibition space. Nittele Tower also has a Taco Bell, and it is notable for its giant automaton clock landmark, designed by Studio Ghibli legend Hayao Miyazaki. When: Dec. 22-29, 2017. 11 a.m.–7 p.m.
Will you go see Star Wars: The Last Jedi while it’s out in theaters in Japan? Do you plan to check out any Star Wars exhibitions or know of any good spots to see homages to the space saga here? Let us know in the comments! 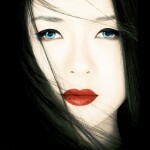 Continuing my quest to sort the fact from the fiction when it comes to Japan’s representation on the big screen, I now take a closer look at Memoirs of a Geisha, the 2005 movie based on the novel of the same name. Why do people eat KFC at Christmas in Japan? 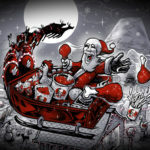 The short story of how Christmas in Japan become synonymous with a fast food joint.